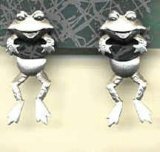 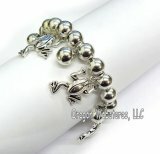 Dress up with frog jewelry in sterling silver, crystal, pewter, and fine enamels! 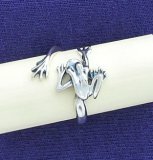 We feature frog earrings, necklaces, watches, bracelets, rings and toe rings, frog body jewelry, and pins. 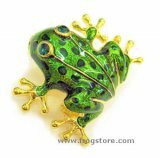 You'll also find a fun selection of metal and porcelain frog trinket boxes and pillboxes.